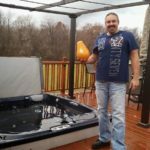 I have been using SilkBalance for all 6 years that I have owned my hot tub. I wouldn’t use anything else! We love SilkBalance. It makes my skin feel so soft and not dried out. It doesn’t discolor our suits either. I would highly recommend SilkBalance to everyone. 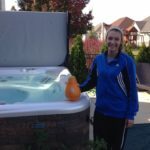 LOVE our SilkBalance tub! Chemicals were so harsh before we switched and we just couldn’t be happier! 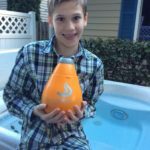 I had stopped using my spa because the bromine scent caused me to cough with every use. Immediately after starting SilkBalance, the scent was gone and I’m enjoying my spa again. 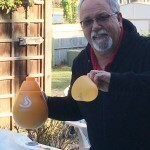 SilkBalance keeps the water smelling fresh! 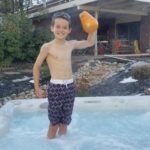 We have always developed rashes with other water chemical systems, but since using SilkBalance, we can finally enjoy rash-free hottub time . . . this product has given us a chance to enjoy once again! SilkBalance is wonderful. It makes our skin really soft. 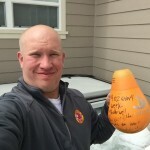 One week my husband forgot and I could tell immediate when I got out. It really makes a difference. Never been more pleased with the product ! 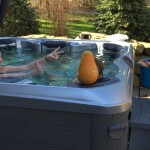 Hot tub has never been better. I would recommend every one at least try it. 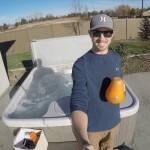 You will be amazed at how clean and refreshing your tub will be!! SilkBalance keeps your skin smooth and silky. No more dry skin due to hot water. Great product. Easy to use. Thx SilkBalance! Bought this after researching and absolutely love it. It’s been 2 months since using and my water is like I just filled it up. AMAZING!! Works great and very easy to use. 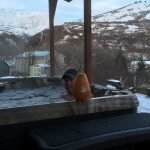 Started using day one with our new Jacuzzi spa. We finally found a product that does not affect my skin negatively. 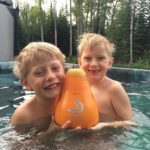 We love this product and how it makes the water feel and the clarity. Thank you SilkBalance! 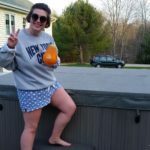 My first soak and I LOVE it! 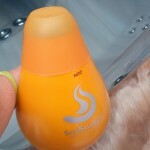 Soft and silky beats the harsh chlorine & stinky/ cloudy bromine all day, every day! Thank you SilkBalance! 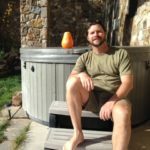 I just replaced my old tub with a Hot Spring tub with the Ace salt system. 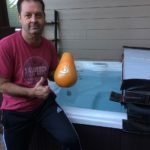 Ohio Pools & Spas Highly recommended SilkBalance for my tub. The water feels so fresh and smooth with no odor. 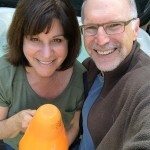 The tub water stays balanced – which makes life a lot easier. Great product!!! 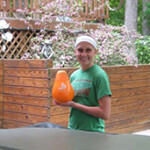 We love SilkBalance because it helps keep our spa going great with little effort! Highly recommend to anyone with a spa! 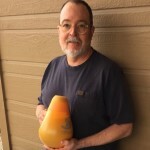 My husband and I like the simplicity of SilkBalance. 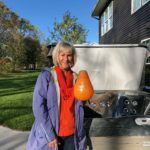 My neighbor used this all summer and it made a definite difference. I like how it made the water feel really velvety. I love the convenience of using SilkBalance. The water stays crystal clear without using lots of smelly chemicals. 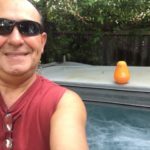 My skin feels great after using the hot tub and the water does not irritate the delicate skin of my grandchildren, who have skin conditions. My dog, Chloe, agrees and is a happy customer! 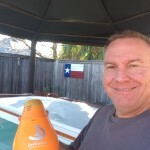 I managed a pool and did pool and spa maintenance for 9 years and SilkBalance is better than anything I’ve ever used, no chemical smells! Easy to use, keeps the water crystal clear and smelling fresh. SilkBalance is a great product . It makes my spa water sparkling and fresh smelling. 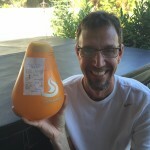 It is easy to use and my water lasts months longer than other products. I highly recommend SilkBalance to anyone who wants a carefree spa. AMAZING change in our water quality! 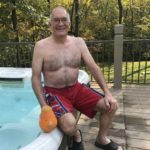 My wife used to avoid the spa because it made her itch – not any more! I don’t know how it works, but it does. Our spa is more stable, requires fewer chemicals, and feels better than ever. 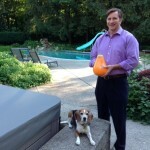 SilkBalance has really helped keep the water clean and clear and keeps the pipes clean. It also helps with the drying of the skin!! My wife and I love it! I love SilkBalance. The water stays clear and feels soft. I am using less chemicals and there is hardly any chemical smell. 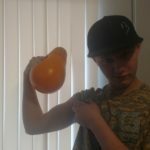 I have been using SilkBalance now for two months. We love it! Our skin feels great after a soak. The water is so stable, it makes it so easy. Try a bottle and feel for yourself. Love how easy my SilkBalance is to use. 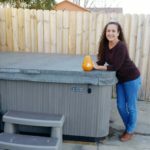 No harsh chemical smells and get my hot tub smooth and clean. 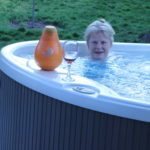 SilkBalance is amazingly easy to use and feel very secure that our hot tub is always ready to enjoy. Also, cool shape of the bottle. I love the ease of use and convenience of SilkBalance. The product is effective; results are outstanding. 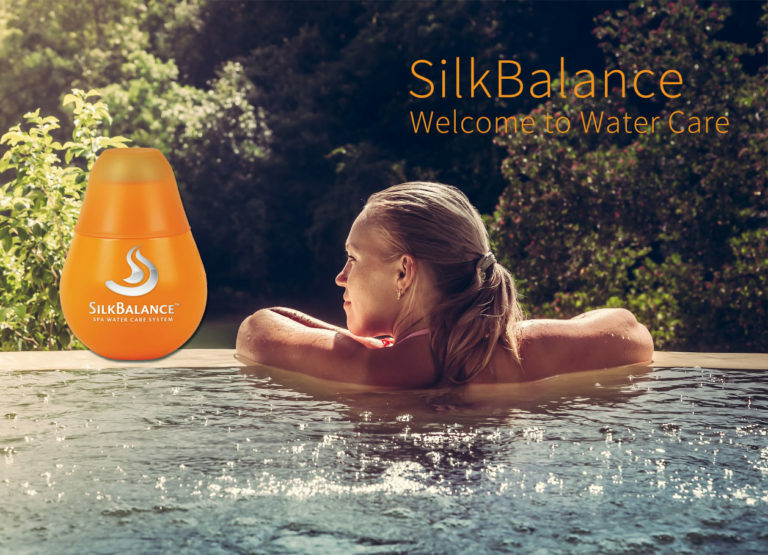 SilkBalance is the only way to treat your spa water. 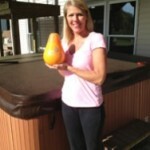 My wife has sensitive skin and SilkBalance is the only water program that keeps the skin in balance and feeling great! I Love SilkBalance. It’s so gentle on my skin, smells great and so easy to balance. It’s made owning a spa so easy to maintain. I would recommend it to anyone. It’s worth every penny. I have used SilkBalance right from the start and it keeps my skin smooth. We all love this product, it’s been so nice on the skin. Glad we switched!! This stuff is great. Easy to use and skin feels wonderful. Love silkbalance! 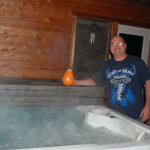 Keeps our water crystal clear and makes having a hot tub easy peasy! 🙂 Thanks Silkbalance! We will recommend you to everyone. I love SilkBalance! I won’t use anything else.I love how after I get out of my spa I can get straight into bed without taking a shower because I don’t feel icky, my skin feels and smells amazing. Best for pH balance I’ve ever used! SilkBalance is so easy to use and I love the way it makes my skin feel! This product is as good as it gets. 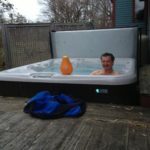 Yeah, it might be a bit more expensive up front, but after taking care of hot tubs for many years using the old method, I’m never going back. 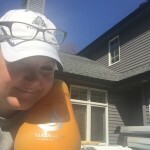 We have been using SilkBalance for about two years and love it! SilkBalance has made a huge difference in water clarity and has a pleasant smell. 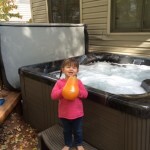 Now the whole family can enjoy the hot tub. What a great product! 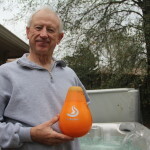 I love using SilkBalance in my hot tub. It makes spa care so easy. 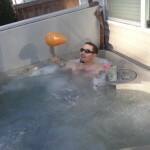 This is our first hot tub and man is it getting a workout. We just love it, rain or shine. I expected tons of chemicals and water balancing but it’s been exceptionally easy. Our rep said it’s because of SilkBalance. I expect she’s right. Seriously! What took us so long! We have owned a spa for more than 15 years. This is the easiest product we have ever used! Thank you for making our spa experience and usage so much more pleasurable. SilkBalance keeps our water so clean and soft. 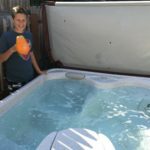 We tried it out and will never go back to our old hot tub chemical system! I’m always amazed at how soft my skin feels after we get out! Thank you SilkBalance! The SilkBalance has been phenomenal! The water is crystal clear, there is no residual smell, and it truly makes your skin feel softer. Ease of use, combined with consistent results … what more can you ask for? 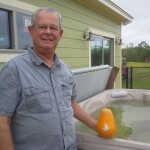 A very nice system for keeping our spa water bright and clean. 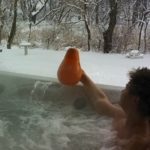 We just started using SilkBalance recently in our hot tub. 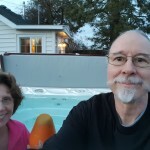 We have had our hot tub for five years. 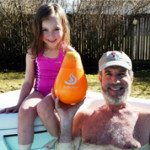 Since we started using SilkBalance, our hot tub water has never been so clear and such a joy to be in! It is very easy to use and we could not be happier. 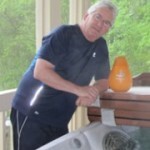 Mike says: “I like SilkBalance because it makes my maintenance easier, with fewer steps. 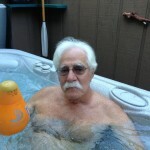 This gives me more time to enjoy my hot tub. My wife likes the softness of the water after using SilkBalance. 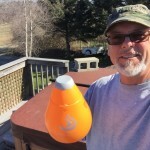 Overall, it is a great product! I’m excited to try SilkBalance for its ease of use. Thanks Spa Team. 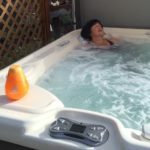 I really like using SilkBalance as it is super easy to measure out and put into my spa. My overall need for adjustments over these four months have been minimal. SilkBalance has made having a busy life and taking care of my spa so easy. 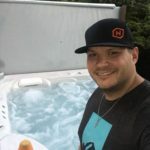 I never have to worry about testing water and balancing chemicals and can just enjoy my spa and relax after a busy day of running my business. 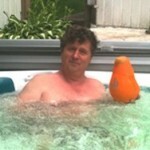 Just refreshed my hot tub with your silky smooth product. It really does feel much better than all the traditional chemicals. Thanks for a better product. 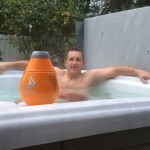 Excellent spa water softener creating an enjoyable experience. Aroma is very comforting. Reduces need for other chemicals. I love this stuff. I couldn’t do it without it! 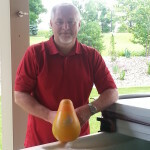 I have regularly used SilkBalance weekly for the past five years. I love how it keeps the pH consistent making maintenance easy. 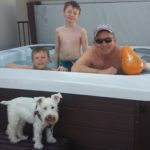 More importantly, the water is so gentle that my family can use the tub several times a week without any skin irritation. Thank you SilkBalance! We love our SilkBalance! 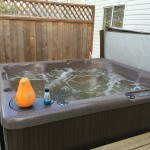 Our hot tub stays clean and smells great! Wow! Great stuff. 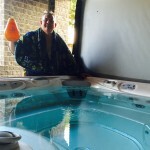 It eliminates the hassle for maintaining a crystal clear spa. No more Walter White chemistry lab work to produce sky-blue water. 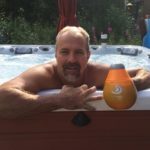 This product makes our hot tub easy to maintain and my skin feels great. 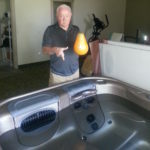 We just bought a new hot tub and were introduced to SilkBalance from the dealer. We were skeptical as to whether it would work. We were pleasantly surprised with the clean, clear water and our skin is not as dry as without it! Thanks SilkBalance! 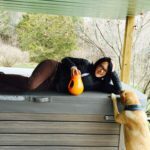 Prior to using SilkBalance, we had odor issues with spa water, difficulty controlling the pH and other water chemistry – cloudy water.Upon our very first use of SilkBalance, the water was clean, no heavy spa chlorine typical odor and our skin was much less dry and felt quite soft. Worth every penny in our opinions! 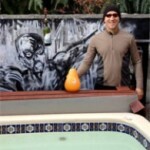 I love using SilkBalance to care for the water in my hot tub. It makes the water so clear and is incredibly soothing. I highly recommend it! SilkBalance is the best conditioner we have ever used in our spa. We couldn’t believe the difference! We would recommend to anyone. 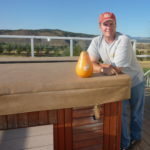 We just recently switched to SilkBalance for our spa. 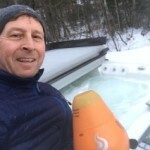 We couldn’t be more pleased with how easy the system is and how the water feels. We are very happy that we switched. Thank you. After years of failing to balance our spa chemicals resulting in frequent corroded and broken parts, we switched to SilkBalance. 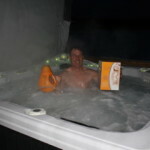 It is now simple to keep the spa chemicals balanced, and the spa always feels and smells great. 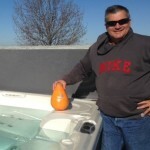 Thank you SilkBalance for a great product and Bullfrog Spas for your recommendation. We love SilkBalance. It is easy to use and feels soft on the skin. It gives us an aromatic experience like no other product can. 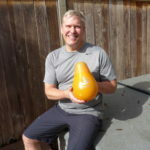 I have used SilkBalance for a number of years. 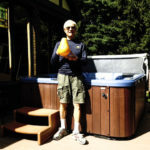 It is easy to use and has kept my hot tub in perfect balance. 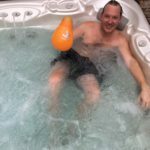 I would highly recommended SilkBalance to anyone with a hot tub. SilkBalance has been a great addition to my spa. By adding SilkBalance, instead of the water being harsh on the skin, has helped soften my skin. In the water you can feel the difference of the water texture on your skin. I add SilkBalance regularly to my spa. We have owned a spa for more than 20 years and no system is easier to use and softer on the skin than SilkBalance. 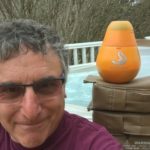 I made the switch to SilkBalance because of a recommendation from my spa dealer. 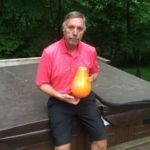 I have been able to maintain the big swing of unbalanced pH to a minimum and the water feels smoother and silkier. 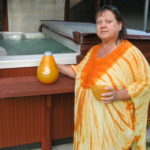 I spend less time maintaining my spa and more time enjoying my spa now after using SilkBalance. 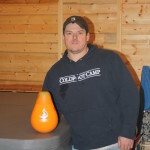 I just stared to using SilkBalance, it is so easy to keep the water balanced at the proper level. 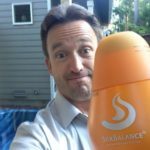 Also after using the tub, my legs would feel itchy and now with SilkBalance I do not have this problem. I highly recommend this product to anyone. We started using SilkBalance about three years ago and we love the way it makes the water and our skin feel. 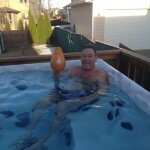 We promote it to our friends who have hot tubs. SilkBalance for effortless spa maintenance all season. I love the way your skin feels after a nice long soak. Hi! We love SilkBalance! We noticed the difference the first time we used it. Our skin felt so much softer when we got out of the tub. 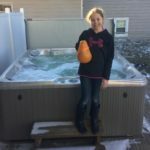 We would recommend it to anyone who has a hot tub! 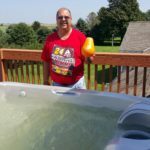 We have used SilkBalance since purchasing our tub three years ago. We love the way it keeps our water crystal clear and soft. I would recommend SilkBalance to everyone. I’ve been using SilkBalance for a month now. As a mechanic, my hands and arms were always dry and rough from the chemicals used to clean up parts. My wife has made comments on how soft my hands are now. Thanks SilkBalance! 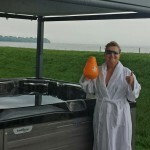 We switched to SilkBalance about three weeks after purchasing our spa. It is so much easier to maintain and the water smells and feels so much better. 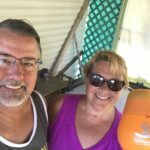 We are so happy we made the switch! Great product. Does everything it’s supposed to do. We especially love the way it helps our skin from drying out. Makes the whole spa experience so much better! Great product. 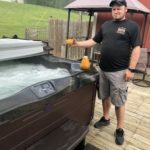 Takes the guess work out of balancing chemicals and makes hot tub maintenance a dream. Water is fresh and clean with minimal work. Highly recommend. I love the SilkBalance for our spa. 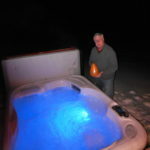 I am finding it is easier to maintain the use of chemicals in our hot tub. Life is busy and it is really nice to use less chemicals and have more stable levels. Thank you for SilkBalance! Amazed at how it improved the texture of the water to a smooth, silky feel. 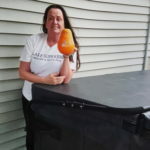 I love using SilkBalance, it is so easy to use and the water stays crystal clear and odor free. 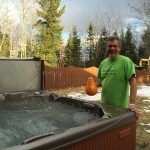 You get out of the hot tub and you don’t feel like you have chemicals all over. I wouldn’t use anything else. Coleman Bright Ideas ships it out every four months with my shock. SilkBalance has taken a lot of work out of caring for our spa. We love SilkBalance! 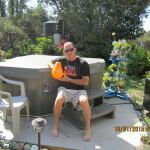 It is super easy to maintain our hot tub and the water doesn’t smell. I like SilkBalance for a few reasons: it’s easier to use, it feels softer on my skin, and it doesn’t smell strong like our previous brand. 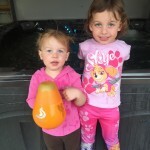 My nieces are enjoying it too! Thank you! Very easy to use, has a very pleasant odor and is sulfur free which is very important to us. 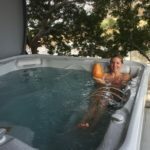 SilkBalance has made us LOVE our spa even more than we did, and we’d have never believed that could happen! 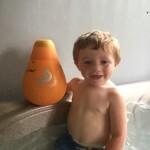 The simple process of adding SilkBalance weekly makes “taking care” of the spa so easy – a CHILD can do it! The water is perfect. We are so thankful for SilkBalance! What a fantastic product! 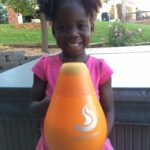 We LOVE SilkBalance for so many reasons but I think besides the fact that it makes it so simple, I feel like the grandkids are safe from any harsh chemicals and smells. It feels so amazing! Love our Bullfrog spa and SilkBalance. 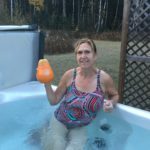 It’s so easy and makes having a hot tub a wonderful experience. Our skin feels soft and the water stays great for a long time. We love the ease of spa maintenance with SilkBalance. 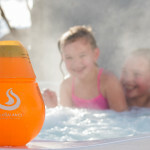 SilkBalance makes owning a spa easy and enjoyable. The water is soft and clean. 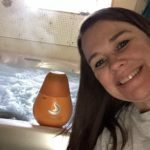 I would recommend SilkBalance to anyone who owns a spa. 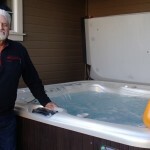 SilkBalance takes all the difficulties out of treating our hot tub’s water. It doesn’t get any easier than this! Love the ease of SilkBalance! It is the easiest chemistry that we have ever used in our spa.We love the way it leaves your skin so soft also! Great product! 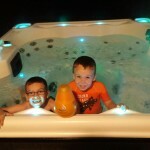 We bought our spa from Bullfrog Spas of Layton/Ogden/Logan and they introduced us to your wonderful product! Customer for life! 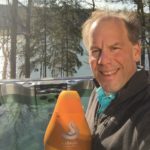 SilkBalance is easy to use and works. It’s a one-stop shop for all of our spa needs. 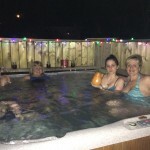 Our skin feels great after being in the hot tub when it’s in. We keep track of usage by writing dates right on the bottle itself. We are glad we came across this gem! We started out using this product from the first time we filled it up. It neutralizes the hard water and allows your skin to feel soft while giving your water a nice scent. Very nice product. 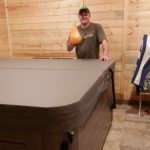 We recently purchased our third spa and we decided to go with SilkBalance this time. We are so happy we did. 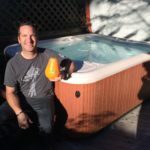 SilkBalance makes spa maintenance so easy! 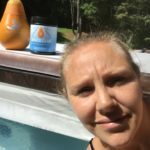 SilkBalance really helps keep my spa water clean and fresh. It seems to help my itchy skin overall. I use it once a week and don’t have the skin issues I used to before starting on this program. For the small added monthly cost, it is well worth it! SilkBalance works great to help keep the water in balance longer and makes our skin feel silky smooth. Love this product. 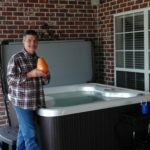 We love our tub and SilkBalance makes it all possible. With SilkBalance, water maintenance is a snap with once a week testing. Combined with our Ace salt water system, we have silky smooth water week after week. 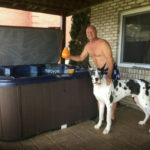 Thanks for your help getting my new hot tub running with SilkBalance. IT has no chemical smell and doesn’t dry out my skin!Love it! 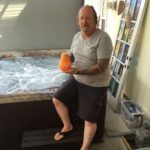 I am new to Hot tubbing as I just purchased my tub in April 2015. So far I am happy with the way my skin feels getting out of the tub. It is soft and doesn’t feel dried out at all. I will continue to keep using this product!! SilkBalance has softened my skin to the point that I am not using all my dry skin products.We love SilkBalance and won’t go back ever! Thank you for this spa product! 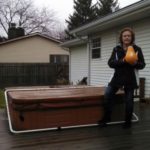 A friend of mine got rid of their hot tub because his wife broke out. 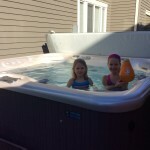 I told her about SilkBalance so they came over to try out my new hot tub. 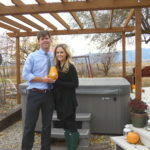 She didn’t break out, so now they are thinking of buying a new hot tub. Way to go SilkBalance. I love how smooth the SilkBalance makes our skin feel. 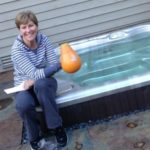 And our hot tub care has never been easier!It’s time to get ready for the fall tubbing season and the cold weather to come here in Michigan! 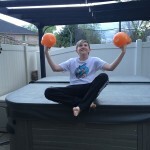 Thank you, SilkBalance for your wonderful product! I love the way the SilkBalance makes my skin feel. The chemicals are easy to use and my wife loves it! love the stuff. Works very well and saves me all kinds of time vs. adding all the chemicals. The new formula saves even more time. I’m very happy with my purchase of SilkBalance. 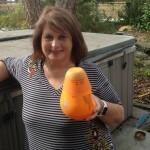 We love that it doesn’t have the strong chemical smell of chlorine, but still works great. 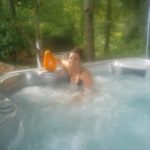 SilkBalance is a wonderful product to use in our hot tub.We have really enjoyed our hot tub and the silkbalance helps keep our skin soft. I love the way my skin feels after using SilkBalance. It is silky soft! 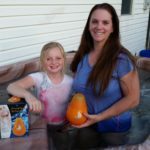 SilkBalance is a vital part of keeping my spa in condition for the whole family. This stuff is amazing!Can’t believe how clean and fresh the water is with just a few ounces a week. No more stinking chemical smell!! Best of all no more irritated, dried out or rashy skin!! Thanks for this awesome product!!!! We love SilkBalance. 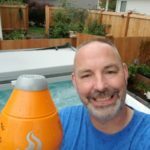 It’s so easy to use and makes the water feel so good! 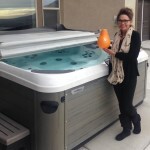 So glad Bullfrog Spas of Layton/Ogden/Logan recommended it to us! 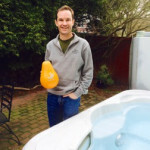 SilkBalance has made maintaining my hot tub easy and provides clean, clear and maintenance-free water. 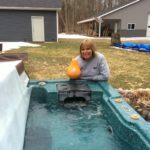 Not only does our skin feel softer but upon draining the tub this spring I was amazed how easy it was to clean up after not changing the water all winter. I’m glad I switched to SilkBalance and will always be a user. SilkBalance is PERFECT! 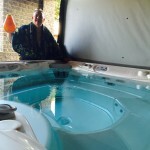 It makes keeping our relaxing/hydrotherapy spa perfectly balanced an EASY task. Soft, clear, odor-free water with such ease is quite amazing! 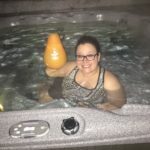 Who wants to work hard to be able to use their spa? NOT us! SilkBalance is amazing! We LOVE it! Look at our water… it’s perfect, thanks to SilkBalance! 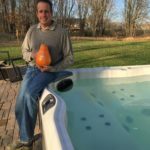 We have been using SilkBalance for about six months and all the problems we were having with our hot tub water have vanished. 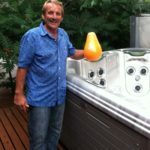 SilkBalance is so easy to use and it keeps the water in perfect condition. SilkBalance is the best! 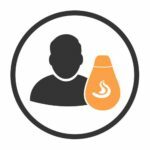 This magic liquid is convenient, simple, and quick to use and only requires three ounces in your filter once each week. I recently switched over to this product and will never turn back. 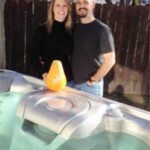 My husband and I love using SilkBalance in our hot tub! It is safe for our grandkids. We would definitely recommend SilkBalance because it makes your skin feel soft and it is a great choice for our family! 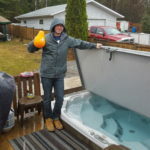 I have used my old hot tub for 20 years. 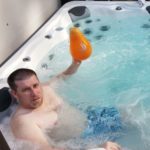 I just recently upgraded to a new hot tub and I am amazed how easy SilkBalance is to learn and use compared to the old products. Orange is also my favorite color. 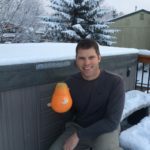 Every hot tub owner should try SilkBalance! 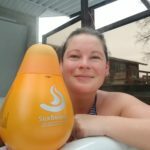 My husband and I started off using floating bromine cartridges in our new hot tub and I couldn’t be happier that we made the decision to switch to SilkBalance. It’s simple to use, keeps water crystal clean and feels silky smooth. 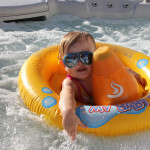 SilkBalance has provided a carefree, luxurious and quality hot tubbing experience for our family. The cleanliness of the water and effect on us has been so much better than previous methods. 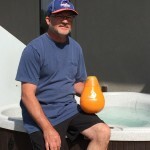 The ease of use in maintaining the tub, using SilkBalance has been an additional stress reliever. Thanks for this wonderful product! 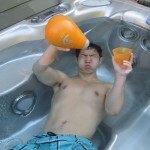 We hesitated buying a spa due to the maintenance. 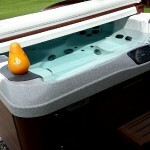 SilkBalance has made it so easy to maintain a beautiful fresh clean spa. Thank you so much SilkBalance! 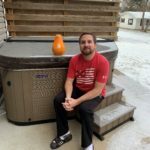 I switched to SilkBalance when we replaced our old spa. Using SilkBalance is much easier than the other brand I was using, plus the water smells better. 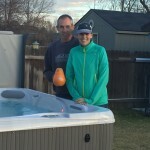 My hot tub dealer recommended SilkBalance and I am glad she did. We have been using SilkBalance for more than a year. We switched from another treatment process. 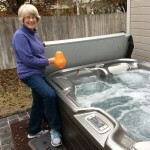 We are completely thrilled with the ease of using the SilkBalance hot tub conditioner. The water is always crystal clear and inviting with no noticeable odor. We never have pH problems and everything else seems to stay right in balance. 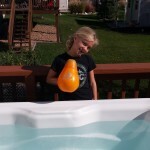 We had difficulty getting our water balanced without being cloudy. We got it working right and attribute this to using SilkBalance. The water has stayed crystal clear and my skin itch has gone away. Yeah for SilkBalance! We love SilkBalance. So easy to use and our skin feels great. Wonderful product! 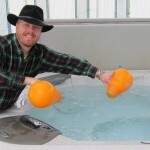 We have loved using the silk system in our hot tub. 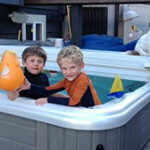 Having loved hot tubs for a long time, we understood the likelihood that enjoying our hot tub would dry out our skin. We have been very happy to not face that. We have loved using silk and how it feels on our skin. My wife and I were having trouble with dry skin until we starting using silk balance. What a big difference. Thank you for coming out with a product that not only gives us soft skin but also does the job of keeping our water crystal clean without harsh chemicals. 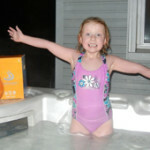 We love our daily hot tub, and we love how SilkBalance keeps the water clear and sweet-smelling! 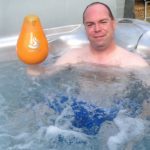 It’s lovely not having to juggle the chemical balance of the spa, and the water really does feel silky. I guess that’s how it got its name! Thank you for this wonderful product! 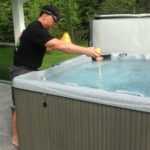 Mark and Pat Solinger like SilkBalance because it makes your hot tub water very soft and it’s easy to manage. Thank you. 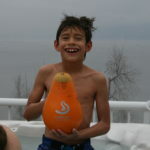 I like SilkBalance because I don’t have to buy any more of those harsh chemicals that I had been pouring into my tub. Instead it’s as easy as 1-2-3! 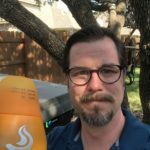 I have been using SilkBalance for more than two years. This product has been all that was advertised! I no longer have the “confusion” of chemical mixes and enjoy the “clean” smell of the spa water. 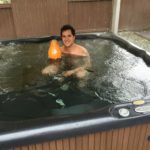 I would recommend SilkBalance to anyone who owns a hot tub! 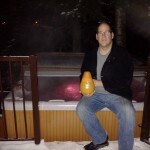 I always loved going in a hot tub but after some time, I would get itchy. 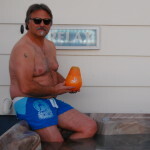 When I bought my own hot tub, the dealer told me to use SilkBalance. 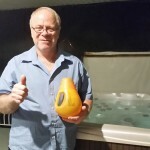 Sure enough, I spent as long as two hours in the hot tub and it’s as smooth as lotion.SilkBalance also makes it easier to adjust the chemicals. After using SilkBalance for only a week I don’t plan on using anything else. Not only does our water look great but I feel so much better! Thanks SilkBalance! 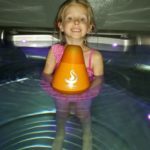 Sile Balance is amazing! 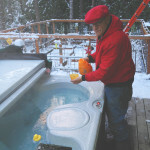 This is our 3rd hot tub over 20 years, maintaining the water has never been this easy! I love silk balance. It leaves your skin very soft. I have been very happy with it. 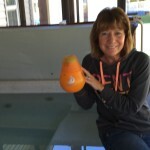 We love Silk Balance We are new spa owners and have loved how well the Silk Balance helps us maintain our spa. 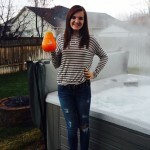 Bullfrog Spas of Layton has also been very helpful in making our spa experience positive. 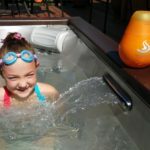 We have been using Silk Balance ever since we bought our Bullfrog Spa in Layton almost two years ago, and will continue to do so. It is easy to use and works great. Each bottle lasts us about six months. I recommend it! We have enjoyed our Silk Balance since May of 2014. It has helped ease the maintenance of our spa as well as keep our skin from drying out with daily use of our spa. The Silk balance has been a great addition to our spa. It feels great on our skin and we enjoy sitting in our spa more than ever!! This product is so nice. We absolutely love it and would recommend it to anyone. No harsh chemical smell and our skin always feels so wonderful after we use the tub! Great, great product. 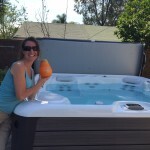 SilkBalance has made owning a hot tub effortless and stress free. I used to battle spa water continuously with traditional chemicals. 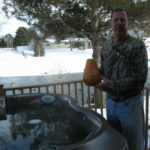 I now just use SilkBalance as directed and enjoy my hot tub. 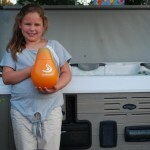 We love our SilkBalance! 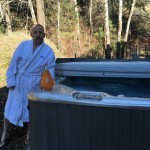 It is so easy to use and we can’t get over how clear, clean and soft our hot tub water is. We are equally impressed that it is odor free. Kudos to SilkBalance for such an amazing product. 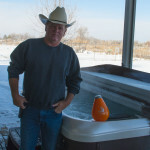 I love the way SilkBalance makes the water feel in my hot tub that I purchased from Bullfrog Spa’s of Layton/Ogden/Logan. This product is amazing! Our salesman told us about it. The water is so clear and my skin is soft and no chlorine smell. It makes maintenance easier and the water gives you soft skin. thanks. We are loving our new spa! 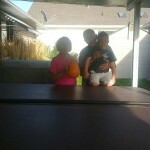 Both of our kids have sensitive skin especially to chemicals and fragrances. With Silk Balance, however, they have had no problems even though they are in the spa every day. Thanks for a great product!!! 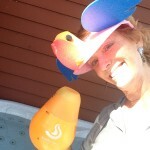 I have been using SilkBalance for years in our Bullfrog spa It is Awesome !!! Silk Balance is a simple and efficient system. Easy enough for anyone. 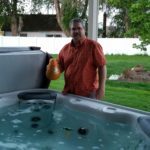 I bought this product from Bullfrog Spas of Layton/Ogden/Logan. We love SilkBalance and will only use that as it leaves your skin feeling soft and clean. SilkBalance doesn’t leave a residue on your skin making it feel dry and itchy like other brands. I just started using Silk Balance for the first time. I just love the product! It is so easy to use. No more trying to figure out what chemicals to use when. It keeps my spa perfect! SilkBalance enhances our spa experience. It leaves our skin oh so soft and our water remains crystal clear. We love it!!! 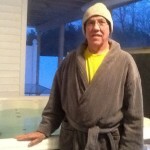 Virtual one step spa maintenance has made the care of the spa water very easy. It really pays foe itself during the winter in Vermont. 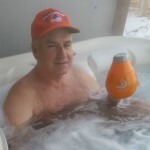 I LOVE ENJOYING A SILK BALANCE SPA TIME AFTER A HARD DAY OF SNOWMOBILING. We have been using silk balance for 6 months and we are more than pleased, makes maintenance a snap. And feels awesome on the skin. 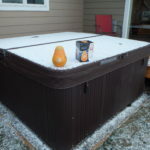 This is our first Hot Tub, Silk Balance was recommended to us, and we like it a lot, fresh and smooth skin. 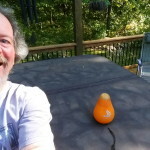 I’ve switched to SilkBalance 1 year ago. I love how my skin feels after a soak in the spa. 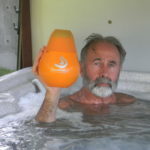 I will never use my spa without SilkBalance. 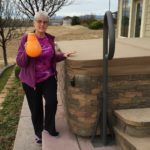 Thank you Bullfrog of Layton, Utah for introducing me to this great product. 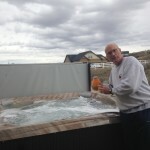 It is so inviting to open my hot tub and see the clear, fresh water that Silk Balance creates! While in our tub we enjoy the soft silky water. It is very relaxing to be free of harsh chemical smells. We appreciate the ease of using the measuring cup lid too. I love Silk Balance. It is very dry and either really cold or really hot in Utah. Silk Balance keeps my skin from drying out. 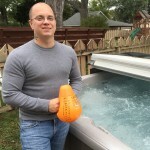 Simple, easy to use product that has taken the guess work out of our hot tub chemistry. Thank you! 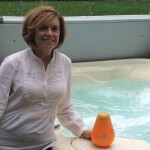 I love SilkBalance and what it does for my spa water, NEVER dries out my skin! 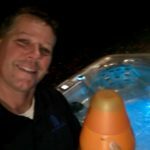 I though.. well this can’t really work.. I’ve been adjusting and readjusting chemicals and additives for 16 years to keep our hot tub balanced for the most part. SilkBalance seemed too easy, but decided to give it a try. It works – it really works. 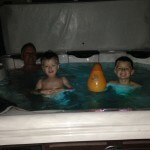 Our family really enjoys Silk Balance in our hot tub. This includes my 12 year old daughter Erin show in the picture attached. As see says, “its dreamy”. Thank you so much silk balance. I have never been able to enjoy the tub before due to my sensitive skin but thanks to your amazing product I get to reheat in my tub and melt away our cold northern Canada winters. Thanks again. Husbands skin issues cleared up with this product, so we have fantastic leisure time now. 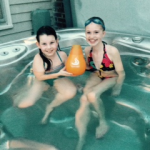 Using Silk Balance to control our hot tub chemicals has been very easy as well as being gentle on our skin. 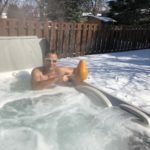 Our other friends with hot tub struggle with both of those “problems” (for them). 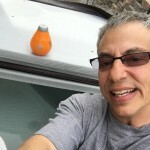 We really enjoy your SilkBalance product! It is easy to use and feels great on our skin. This product saves us valuable time. 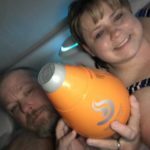 Since I switched to Silk Balance it has been so refreshing and comfortable that even my wife is considering the hot tub experience. Chlorine presence is so minimal and the prior skin effects from chlorine have been eliminated. We started using Silk Balance when we got our spa last year and will definitely continue to use it! It leaves your skin feeling hydrated and not dried out like other products tend to do. Thank you Silk Balance! 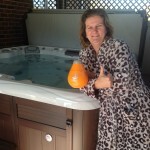 We love the ease of SilkBalance Spa Water Care System in our home Spa. 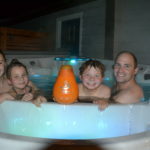 Myself and my family can feel the difference in our skin after using SilkBalance in our Spa. The only thing we do not care for is SilkBalance can sometimes leave a little bit of a musty odor on the Spa cover. I think our spa water feels better with silk balance and it’s also a bit easier to maintain. I love this stuff and it keeps my tub balance. 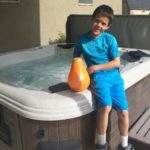 As first time hot tub owners, we love the simplicity of Silk Balance to maintain a clean and clear hot tub that’s ready for our family to use and enjoy! We can definitely notice a difference after starting the Silk Balance. I didn’t start using it right away until my PH was correct. Now I wont be able to stop since my skin feels so much better from the Silk Balance. I’ve been using Silk Balance for 2 years now, and wouldn’t use anything else. Low order leaves skin feeling soft, no harsh chemical smell, super easy to use just once a week dose and your good. Love the clean fresh water & how a persons skin feels when you get out. I love this product! Have been using it for a short while now and it’s awesome to just pour in and be done. No test strips. No balancing everything. 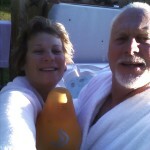 We love our new Hot Springs spa and use it everyday. Since adding Silk Balance to the water we have noticed how clear and silky the water feels. Using Silk Balance makes maintaining the water quality so easy. Thank you. I like Silk because it makes my skin feel great and the water feels wonderful also. 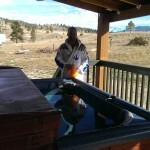 I would highly recommend any hot tub owner use Silk on their tub. 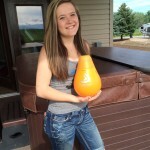 I have been using the Silk Balance products for over a year. Starting with the cleaner to purge my system. I noticed from the start why they call if Silk Balance. 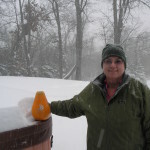 My water from my house is heavy in minerals and Silk Balance softened my water considerably. Love the product! After using Silk Balance, I find the water softer (silky), and it does seem to keep the water chemistry (pH, OH) from changing (in balance). So I guess the name sums up what it does. 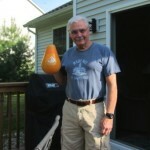 I am satisfied with the results, and will continue to use this product. We love Silk Balence. Makes the water feel great! 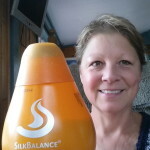 My second bottle of SilkBalance…..I’ve doubled my spa usage and tripled the enjoyment. I will never use anything else! We love the SilkBalance! The water feels silky and soft and there aren’t any strong chemical smells. It’s gentle enough for our grandchildren and us to. 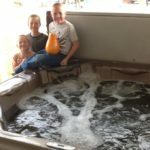 We bought our Bullfrog Spa three years ago. 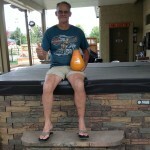 I changed to the Silk Balance that we bought at Bullfrog Spas of Ogden a year and a half ago. I always had trouble balancing the chemicals before but since using the Silk Balance, it is so easy. Silk balance has made a big difference in the overall water chemical levels. It makes the whole process of water level balancing a breeze!